Yaskawa is the largest global variable frequency drives manufacturer with over 30 years of Building Automation System (BAS) and HVAC experience. Our variable frequency drives are designed for HVAC applications, which include air handlers, cooling towers and pumps, by combining reduced size and cost with step changes in performance and quality. The drive features for Building Automation Systems include extensive parameter selection which simplifies management of BAS applications for energy efficiency and closed loop control, industry-standard Hand/Off/Auto functionality, an internal PI controller and a Sleep function. Because all variable frequency drives (VFDs) are rigorously tested, Yaskawa ensures that quality and reliability are designed and built in. Z1000 Drives have embedded BACnet Communications, Metasys®, and APOGEE™. LonWorks® is optional. 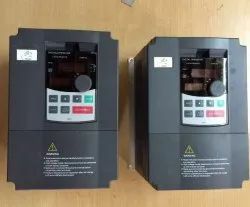 We deal in wide range of Variable Frequency Drives. At AC Drives, we make custom designed variable frequency drives suitable for Original Equipment Manufacturers (OEMs). 415V, Three phase drive is available now. Download the basic specifications. Drives that work from 90V to 260V AC input for universal usage, Pumps & Compressors, Fans, Elevator doors, Textile winders, Tape winders, Treadmills, Whole body vibrating machines, Milk Separators, Polishing & Grinding machines.